A piece of software that turns the Raspberry Pi computer into a time-lapse camera has won a programming contest. The summer coding contest, aimed at inspiring teenagers to take their first steps into programming, was won by 12-year-old Aaron Hill for his PySnap software. The code allows users to plug a camera into the USB port of the Raspberry Pi and control the interval at which photos are taken. Master Hill, the winner in the under-14 category, gets a tasty £627 for his efforts, while runners up received £125. The winner of the 14-18 category was Ashley Newsome, for his SimSmart application, which allows users to design circuits using the Raspberry Pi. The £16, credit card-sized computer has been a huge success since its launch earlier in 2012. 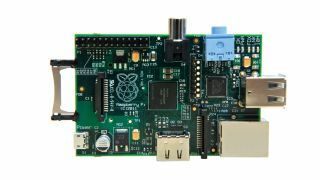 The Raspberry Pi Foundation said it had received entries from all over the world and that it would be holding regular contests to reward the efforts of young programmers.